The Denver Broncos will wear their blue, third jerseys on Sunday night against the Packers. The alternate jersey will be paired with white pants, recreating the uniforms they wore against Green Bay in Super Bowl XXXII. Nike unveiled the 2012 uniforms of all 32 NFL teams on Tuesday morning in New York. The highly anticipated event didn’t carry any surprises for Packers fans. The uniforms still bear the familiar colors and marks worn by the team since the sleeve stripes were reduced from five to three in 1997. In spite of some April Fools’ Day trickery, the helmet ‘G’ emblem isn’t going anywhere. 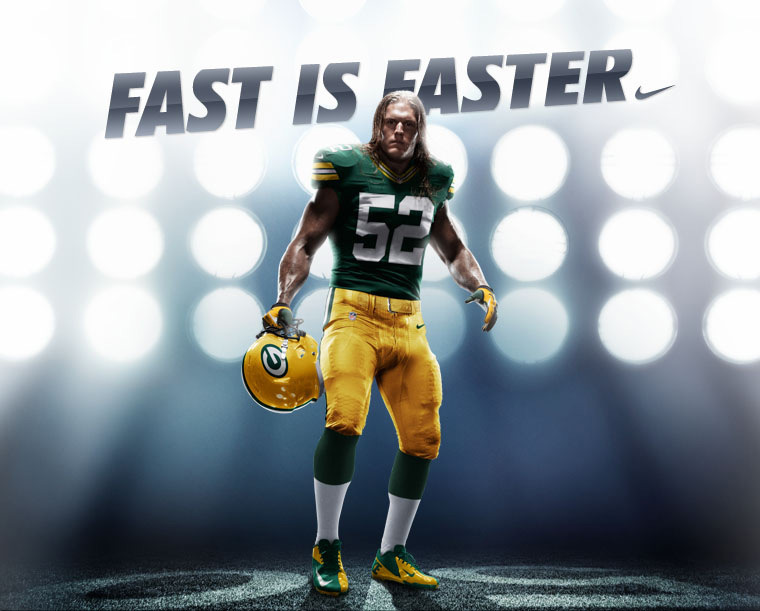 Nike is changing the material of the uniforms for some clubs, but the Packers have elected to maintain their existing uniform fabrication for the coming season. Be the first to get the new Nike jersey. Sign up here to receive Packers Pro Shop emails, including a reminder when the new Nike jerseys are available. Click here to see the rest of the league’s new uniforms.